Database marketing is the process that makes use of data to deliver marketing messages to specific target markets. As the message is refined, the behaviour of each target market can be more effectively changed, but this requires that businesses be able to learn as much as possible about customers and prospects in order to reflect that knowledge in their marketing activities. If the ultimate goal in database marketing is tailoring a specific message to a target audience of one, how do marketers achieve that? It starts with analysing the database to understand the customer. This database should contain customer contact details and information about buying patterns and preferences, as well as past interactions. 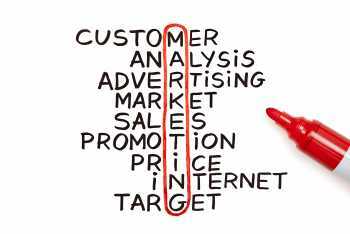 This information should be used for insight to determine marketing strategies, and getting this right is the first step to running a successful marketing campaign. In the absence of accurate customer information, marketers cannot segment or target their messages correctly or even worse, the customer might not receive the message at all. Unfortunately, this is the reality for most database marketers. This reality is caused by data quality problems that arise from having inconsistent data definitions and duplicates in the database. These inconsistencies are caused by discrepancies in the way data is captured. While there is a tendency to blame IT for the quality, essentially marketing data management has been incorrectly assigned to the Chief Technology Officer, when it should be a matter for the Chief Marketing Officer. Why? It’s simple. If, in marketing terms, a customer is someone who responds to a campaign, it makes sense to achieve this objective by allowing marketing to discuss database management, instead of foisting it onto IT. This becomes even more important when considered in light of the impact of big data. For marketers, big data means the ability to predict campaign outcomes, or come up with a killer new product targeting a high value niche, by analysing a consolidated view of all customer data including interactions, transactions, channels and external sources such as Social media. The analysis of this data is intended to scrutinise large data sets to reveal hidden patterns, previously unknown connections, market trends, buyer preferences and similar useful business information. These insights could lead to more effective marketing (think dynamic “audience of one” campaigns), open up new revenue streams, enable better customer service and boost operational efficacy. While that sounds ideal, a roundtable discussion of senior marketing executives identified that closing this disconnect between different customer channels and touchpoints remains a key hurdle for many. The potential harm to business goes far deeper than the fact that a customer might not receive a marketing message. In the long run, poor data quality leads to customer dissatisfaction, incorrect reporting, revenue declines and ultimately wastes valuable time and effort. Furthermore, because customers now expect a truly personalised service from the businesses they choose to transact with, organisations can no longer afford to compete solely on price. In the Age of the Customer, there is simply no choice for businesses but to bring their customer information under close scrutiny. Before existing data is cleansed, there needs to be consensus within the organisation as to what customer data is necessary to achieve business objectives. While there is the temptation to want to store every single detail about every person, this is not feasible. Bearing in mind the Protection of Personal Information Act, it needs to be decided what information is relevant for the purpose of customer service and for how long it will be stored. There needs to be clarity on what information is required for the purposes of fulfilling customer experience objectives and a minimum level needs to be set for quality of data, moving forward. A customer-centric approach to marketing efforts can only be unlocked through linking all business critical information through a single, reliable point of reference. However, this is link is only effective if there is a proper data governance plan in place. Data governance depends on agreeing, sharing and enforcing policies and rules for the use of data to support core business processes, which in turn requires an understanding of how customer data needs to be used by different arms of the business, in order to properly equip all employees with the relevant information. Levelling up to a customer-centric approach requires a master data management solution that lets the business focus on the complete customer life cycle. This means that retention, loyalty, risk mitigation and winning back a customer should be just as much a priority as acquisition. The business needs the support of master data management solution that is aligned with the understanding that customer service is no longer a cost centre. The reality is that the customer service division of every business needs to become the key differentiator in a truly connected marketplace, and in order to maintain relevance the marketing department needs to be working closely on customer experience too. May 24, 2016 in Data Quality. Thanks for the interesting article! Rapid advances in technology has provided businesses the opportunity to collect and filter customer related data enabling businesses to understand the customer better. But to get the right results, businesses must make sure that they are holding the right data as only the right as well as accurate customer data can lead to a customer-centric business.